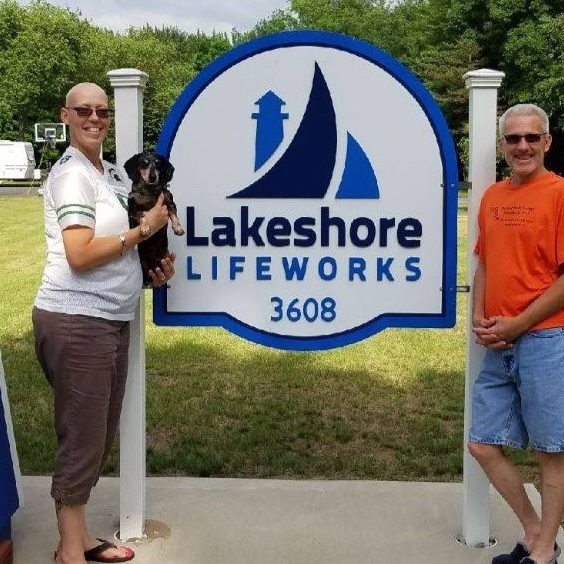 Lakeshore Lifeworks 1st Annual “Light up the Night” Auction Fundraiser! Would you partner with us to help bring light into the darkness of homelessness for youth aging out of foster care. 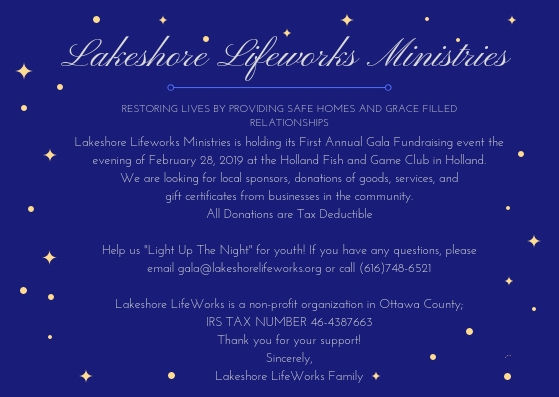 Join us for an evening of food, testimonies from Lifeworks youth, volunteers, and founder, along with a great auction to raise funds for Lifeworks to add a girls home!